It makes me stamp some days. Like after day three of having a sick child at home on an evening when I needed to do something for me and asked Beate for something, anything to get me to do something creative. She pointed me to Jen’s sketch, and off I went to watch (more) Bones and stamp. Fun (and I’m sure we’ll have some more fun this weekend. . . can’t wait to see my friend again)! Super cute. I love your card! Super gorgeous Jenn!! I love it!! So totally cute! Just love it! I’m loving seeing you pop up on google reader! Makes me smile to know that you’ve got fun time to be crafty!! YEAH! Sorry about the sick kids. Awesome card though. I love everything about this sweet card! It is just perfect! 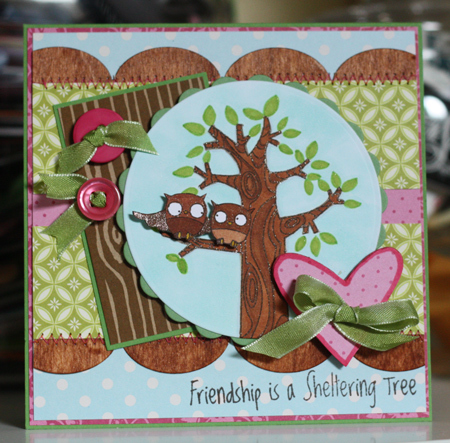 Your card is being featured today on the MFT Blog as part of Our Favorite Finds! totally awesome!!!!!!!!! The details are all amazing! just beautiful, Jenn! love this tree and you made it even better, tfs! The success of the results it off in the middle of insufficient twists and turns.